Qantas Frequent Flyer members with Silver/Gold/Platinum membership are about to get even more rewarded. 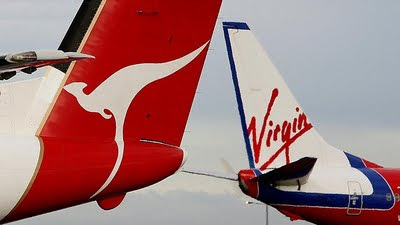 Virgin Australia has just opened a massive can of worms for Qantas by offering Qantas FF members the SAME level of membership that they have with Qantas. You just need to ask for a status match. Here's the details from the Virgin Australia website. Who is eligible for a status match with Velocity? If you are an Australian resident, over the age of 18 and hold a status higher then entry level in another airline loyalty program*, you may be eligible for a status match. Please allow 4 weeks for processing after receipt of your request. If your request is approved, confirmation will be sent to you by email^ and you will receive a Velocity membership pack containing your new card in the mail. This offer ends at the end of September 2011.